Lila is excited for her cousins Takeo and Rosie to visit. They're going to ride bikes, paint, and camp together! But when the cousins arrive, everything's wrong: Rosie and Takeo are better painters than Lila, have skateboards instead of bikes, and don't want to camp outside. Lila is terribly disappointed until the cousins make her a surprise: a big banner for their "best cousin" Lila! Inspired by the author's own large, diverse family, When the Cousins Came is a sensitive story about insecurity, hosting, and friendship. Katie Yamasaki's tale, paired with bright mixed-media art, reminds children that negative thoughts and anxiety over exclusion don't always translate to reality, and that even when plans go wrong you can still have a good time together. Katie Yamasaki is a muralist, author, and teacher, who has painted over 80 murals in communities around the world. She is passionate about art as dialogue and storytelling. 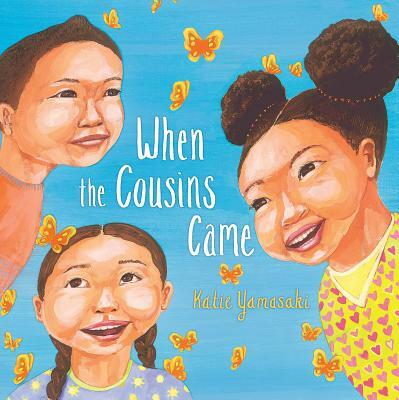 When the Cousins Came was inspired by her own large, diverse family, and by the similarities and differences she uncovered when visiting with her own cousins. Based in Brooklyn, she teaches at the School of Visual Arts in New York City.